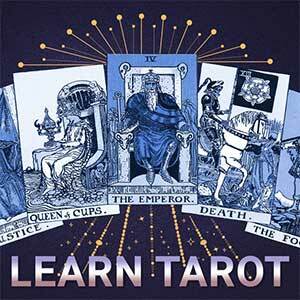 The origins of the Tarot are not known Tarot cards are thought to have been used in card games known as Tarochi. The only firm evidence we have that they were used to define the future dates from the eighteen century. The symbolic images on the tarot card reflect the medieval and renaissance European cultures. Today there are hundred of different Tarot card designs to choose from, many of which have a theme or specific purpose, such as answering questions about love and romantic relationship. One of the most popular sets of Tarot cards is the rider waite pack. Created in 1909, it was designed by artist Pamela Colman Smith. We will look in detail at the meaning of the cards in this popular deck later in this section. Each card has his own meaning which is applied to the context of the question being asked as well as to the card's particular position in a spread. 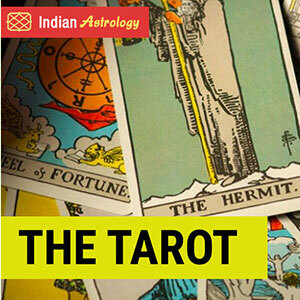 When learning the Tarot, it is advisable to understand the meaning of the cards and then develop your own personal interpretation as you become more proficient. In this way you develop your own intuitive system. The Minor and Major Arcana. The Tarot deck is comprised of 78 cards, 56 of which are divided into four suits and known as the Minor Arcana, the remaining 22 cards are picture cards known as the Major Arcana, Arcana is a Latin word meaning "secret" "mystery" or "Mysterious" and refers to the mysteries the Tarot helps us to uncover. The Major Arcana cards are not thought to correspond with playing cards, they are often numbered from 0-21, although the order varies lightly depending on the deck being used. They usually follow from the Fool Card at 0 through to the world at 21. There are four sets of cards in each suit and they are numbered 1-10, with the ace as the first card. There are also court cards in each suit, although the Tarot has one extra court card the Tarot knight. The card suits also correspond the four esoteric elements of earth, air, fire and water and their associated qualities. If a particular suit is dominant in a spread, it may indicate when an event is likely to happen. The wands corresponds with springtime and action, so represent the fastest unit of time (days) the cups correspond with summer and represent weeks, the swords corresponds with autumn and represent month and the pentacles corresponds with winter & represent a year. Practioners are advised to keep the cards clean and wrapped in a cloth, pouch or placed in a box and stored in a private place when not in use. It is advisable to become familiar with your cards and handle them regularly to build up a connection with them. In general, only the owner of the card should handle them. In this way you develop a deeper connection and when you come to consult the cards it is like approaching a personal confidence for advice. The querent's contact with the cards should be kept to a minimum. Card reading can also be given using only the Major Arcana, shuffle them as normal. When many cards of the same suits turn up in a spread it could show that a particular element or quality is influencing the matter. If Major Arcana cards predominates, it may suggest there are wider forces at work and that external factors will determine the matters. When mostly Minor Arcana cards appear, it may suggest that the matter is in the querents hands. If the outcome is undesirable we need to take the advice of the cards and consider how we can work towards a better outcome. When cards are reversed in a spread, they can be interpreted as having the opposite meaning to the one they have when upright. A card can be selected to signify yourself, the querent and any other individual who may crop up in the reading. Vastu is the science of structures for the well-being of human being. Every structure whether it be a house or a shop or a factory or an office each and every structure should follow appropriate vastu norms. If any structure is devoid of vastu compatibility, it paves the way for multi-faceted problems in economic, health, happiness, conjugal bliss and harmony in family etc. like all the spheres of life. 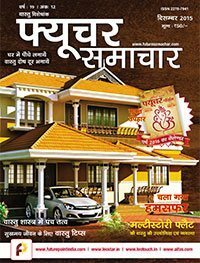 The special issue on vastu consists of many remarkable articles in which all the important concepts of vastu have been explained in detail. The most important among those articles are: Minute description of vastu shastra in narad puran, Five elements in vastu shastra, importance of vastu shastra in building constuction, vastu shastra, a scientific system, Vastu shastra and religion, vastu remedies for correcting the fault of direction, difference and equality, Remedies of vastu and feng-shui, vastu tips for happy life, statue of unity etc. Besides these articles there are many permanent columns also in which different types of articles on different subjects have been incorporated.